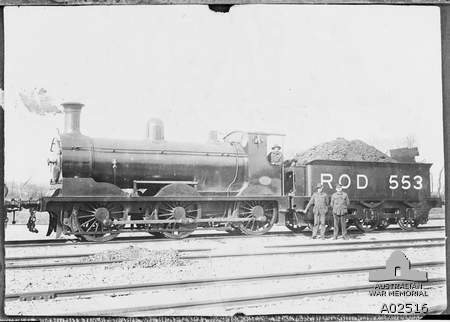 This entry was posted in Australia Day, Brisbane, Family History, Kunkel Family History, Military, Murphy's Creek, Queensland Rail, World War I and tagged Australian Broad Gauge Railway Operating Division, Denis Joseph Kunkel, Queensland Railways, Roma Street, World War I by cassmob. Bookmark the permalink. Loved this post. I have a certain affinity with you, as my maternal grandfather and his brothers were all railway workers here in Ireland. Lovely to have such memories of your grandfather and to have his whistle! Toil it was for sure — and the ongoing wealth is certainly in having a granddaughter who records it all for the world to see! Thank you Angela..I really appreciate your comment on his wealth. Funnily enough I had Irish railway workers too, the (Mc)Sherry family from Wexford, so we do indeed share occupational ancestry. Hope you’re having a good week. It’s blowing like mad here still so lots of Oz Day events cancelled. Very interesting post. He certainly did toil, and left behind a wealth of stories. Thanks for sharing! Thanks Fi. I think all our ancestors had to work very hard. I really enjoyed your Australia Day post. 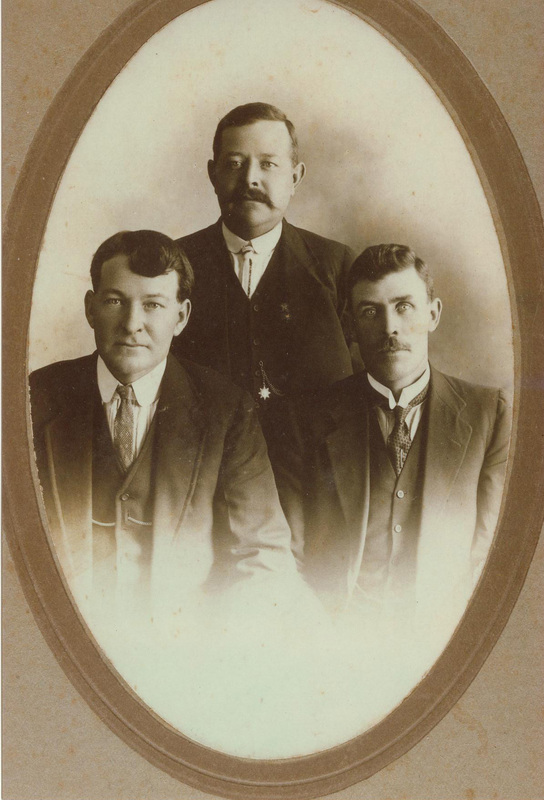 My own post (FamilyHistory4U ) is about my g g grandfather who also worked at one time for the Qld Railways being foreman at the Upswich Carriage Workshop. Perhaps they even met! Thanks Sharn. The location timing is a little different but it’s entirely possible they ran across each other (so to speak) along the way. Another 20 years later my maternal grandfather was also a foreman in the carpentry section of the Ipswich workshops. Small world in Qld! Pauleen, I always enjoy your articles, and this one is outstanding. The photo of Fountain’s Camp is beautiful. I can’t imagine what it was like to wear those dresses in that environment! 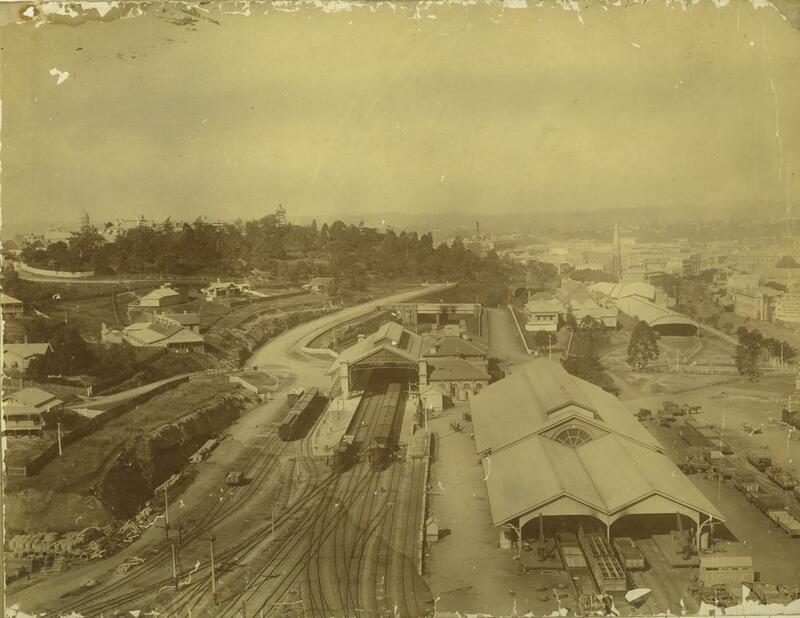 Thanks for your post as it reminded me that my great grandfather and great great grandfather worked building the NSW railway line between Tenterfield and Wallangarra and that one of them worked on building the tunnel between Brisbane Central and Brunswick Street Stations. Others were involved with railways in England. Wonderfully interesting post Pauleen, with such a lovely collection of images. I have found out a lot about railway workers from reading this, thank you. Thanks Tanya…much appreciated. I do get caught up in the story and blather on a bit..glad you persevered. Thank you for your lovely post about your grandfather Pauline. Great photos and what a treasure Denis’ railway whistle must be to you. Thanks Merron, I’m pleased you enjoyed the story. I also have his railway watch but that’s another story. I think I value my memories of him most of all -he was such a gentle man and so kind to me as a child. 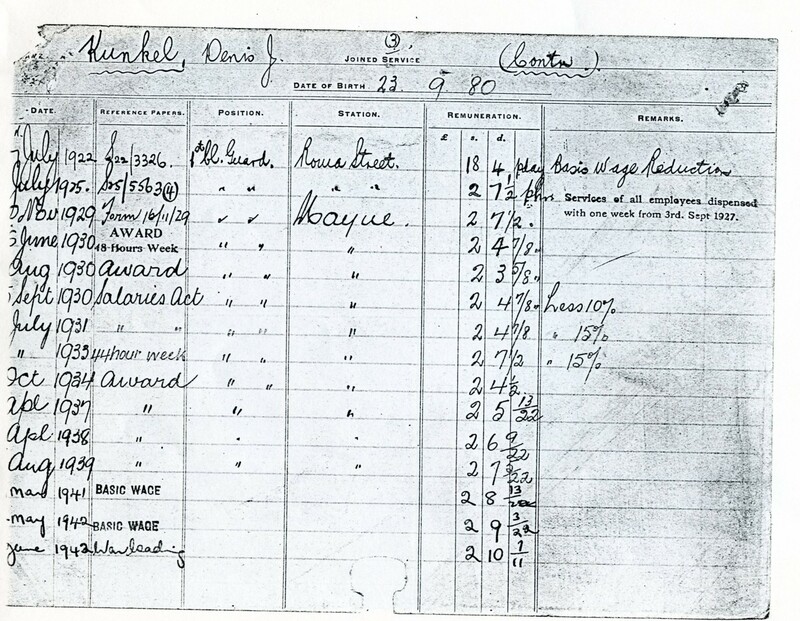 A fascinating profile of your railway ancestors and I was intrigued by the title “wealth for toil” and also that you were allowed to browse through the records in the dusty office of the Railway Mueum. 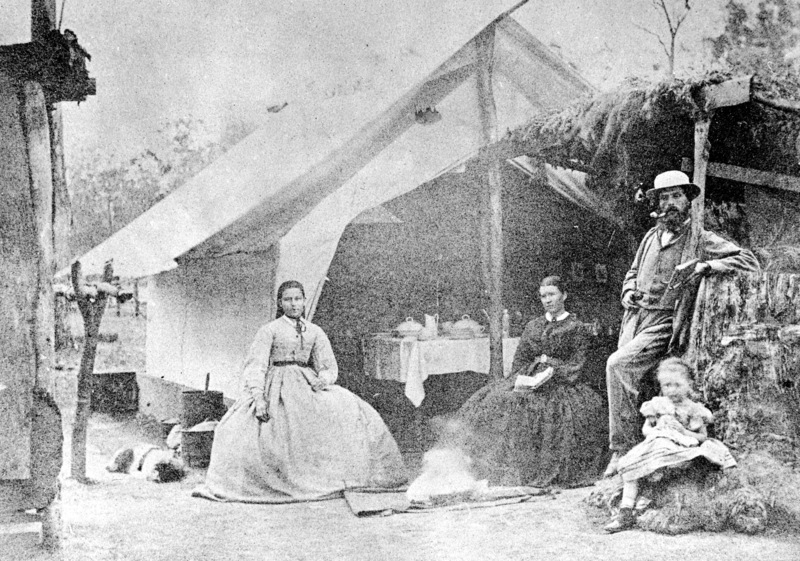 The many images added so much to the story and I particularly liked the one of the women at Fountain’s Camp. Hi Susan, I didn’t mention in my blog that the “Wealth for Toil” comes from our national anthem. Yes in those old days I was left to my own devices rummaging through drawers. Heaven! Glad you liked the pics. I really admire, but don’t envy, those early pioneer women trying to keep house by the railway line construction, bringing forth the next generation, and not infrequently burying them as they died from the adverse conditions in the camps. What a fascinating and detailed picture you paint of Denis’s life. And I love the whistle and cap – sometimes the smallest things can be great wealth. What wonderful details you have discovered. It’s obvious the time and effort that has gone into your post – thank you for helping build a picture of the people who made Australia. Thanks Shelley. I think we all had stories that showed the important role of our pioneering families in their respective occupations. It was a great topic. Are you able to tell me just where Fountain’s Camp was? Stephen Fountain was my Great-great-grandfather and as with the Kunkel story, I have found out a lot about him from Trove. His story is an interesting one too. I live in WA so am not familiar with the country round Toowoomba but from my reading I would think Fountain’s Camp might have been somewhere near Highfield. Are there any traces of it left, I wonder? My great-grandfather was one of the butchers. He married one of the Fountain daughters and later whisked her off to Fiji to grow sugar. How great Jennifer! 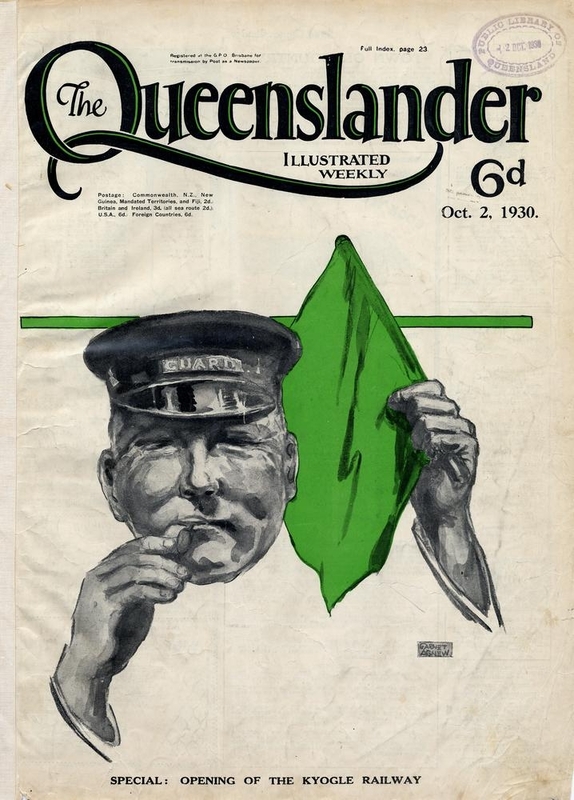 I used that self-same quote in my family history book (found in the very early days of Trove). You see my George Kunkel was a pork butcher and I can’t help wondering if the’s the “full blown sausage maker” as his family were in Bavaria. I know the Chapmans were there as butchers…is this you connection or another name? How interesting that they then went off to Fiji. It’s a small world. I’m so pleased we’ve made contact. This post was great reading. I found it when I searched the internet for railway camps in Queensland. My grandfather was born at 22 Gang on the SW railway line, a mysterious address I’m trying to understand. Your blog is full of helpful hints. Thanks. Thanks Trish! There is a man who’s an expert on Qld Rail, Greg Hallam, who has a facebook page…might be worth asking the question there. Have you Trove-d it? My GG-Granfather came from and was hired in Scotland and landed in Moreton bay 26/3/1866 and started work on the Southern & Western Railway as a platelayer. He worked all the lines in the Southern area right up until his death in 1907. His name was John Ewing and I’m desperate to find a photo of him. He was one of the instigators in fighting for the 8 hour day. I have some family photos but none of him. I would love to hear from someone if they have anything about him.